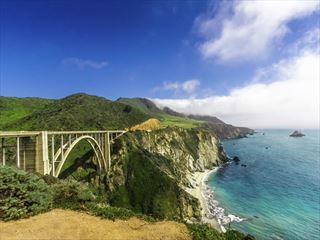 An in-depth discovery of the beautiful northwest of the USA, this 11-day escorted tour takes you on an exciting journey through bohemian cities, gorgeous coastal towns and dense rainforests. 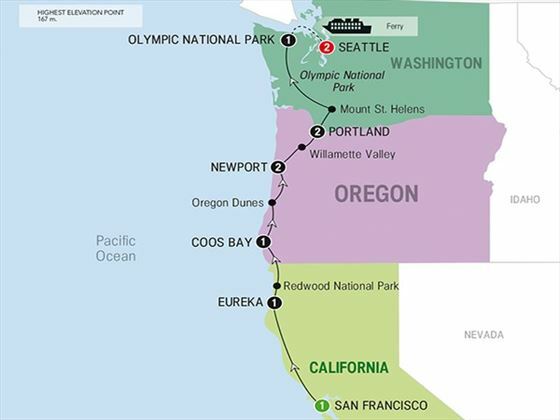 Beginning in the vibrant city of San Francisco, you’ll make your way through Eureka, Redwood National Park, the Oregon Dunes, Newport, Portland and Olympic National Park, plus much more, before arriving in your final destination of Seattle. 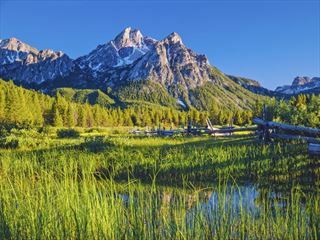 An exciting adventure with diverse and unforgettable experiences, this northwestern tour showcases the very best that this region has to offer. Arrive into San Francisco and transfer to your hotel before enjoying some time to explore at your own pace, perhaps with a trip to Pier 39, a wander around the shops or with a trip to some of the great museums and galleries. At 6pm, you’ll attend a welcome reception to meet your tour guide and fellow travellers at the hotel. This morning sees you cross the Golden Gate Bridge – the ultimate San Francisco experience – with the chance to take a walk along this amazing icon with your tour guide, who will explain more about the bridge and why it’s actually not gold despite its name. Drive along the Avenue of the Giants before reaching the Humboldt Redwoods State Park to witness these incredible towering trees for yourself. In the morning you’ll visit one of the most photographed Victorian houses in California, the Carson Mansion, before driving through the Redwood National Park where you can explore trees which are over 1000 years old and more than 300ft tall! After arriving in Coos Bay, the rest of the evening can be spent at leisure. Today will be spent with a trip to the Oregon Dunes National Recreation Area where unique tree islands, endless shifting sands and fascinating creatures can be found. You’ll have the opportunity to hop in a dune buggy for an exhilarating ride along the sands before stopping at Heceta Head to see the charming 19th century lighthouse cast light out to sea. Enjoy a laid-back breakfast before joining a sea life cruise where you’ll be accompanied by a local specialist to tell you about the marine life, birds and your surroundings. The afternoon is leisure time for you to use as you wish, perhaps with an exploration of the waterfront area. Take a tour of the Evergreen Aviation Museum today where you’ll see the Spruce Goose and learn about the innovators and pilots who pioneered flight. Enjoy lunch in Williamette Valley where you’ll be treated to a tour from the owners and a tasting at their local winery followed by a gourmet meal. From here, you’ll journey onwards to Portland where the evening is yours to explore at leisure. Discover Oregon’s beautiful scenery today as you make your way along the Columbia River Highway, stopping at Chaticleer Point and the Vista House for panoramic views of the river. Vista House is a unique octagonal building with a copper roof that houses interpretive displays of historic points of interest in the gorge. 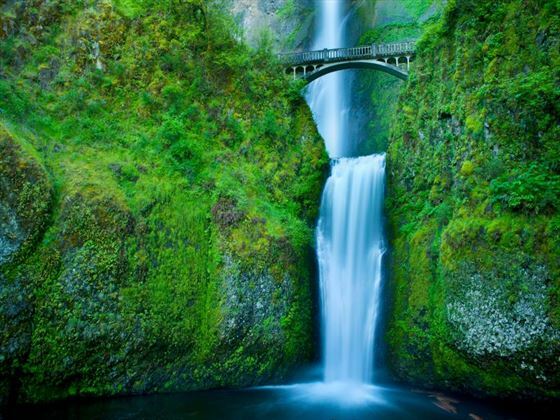 Afterwards you’ll journey to the Multnomah Falls (the second highest year-round waterfall in the US and Oregon’s tallest) before enjoying lunch in Hood River. 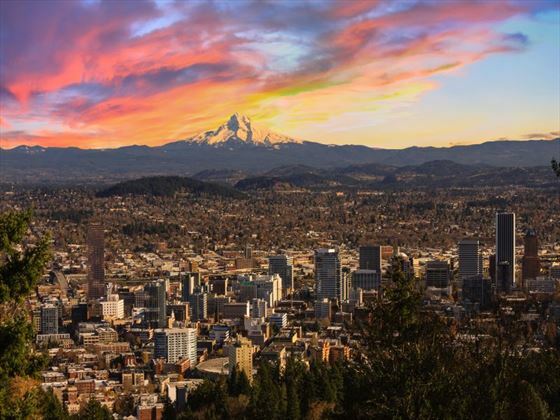 Visit Timberland Lodge with great views of Mt Hood before enjoying a free evening in Portland. Head to the Mount St. Helen’s Visitor’s Centre this morning which is dedicated to the Ring-of-Fire volcano that erupted in 1980 and where you can learn about this legendary blast through interactive exhibits and working seismographs. 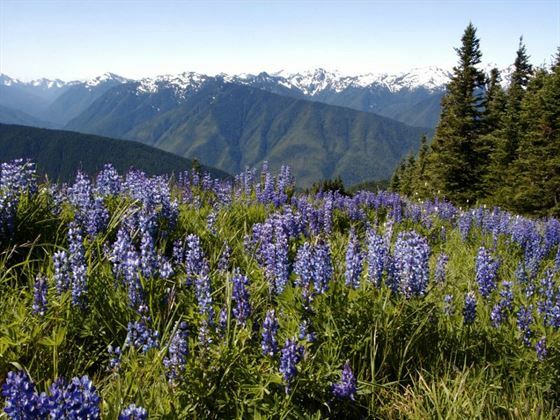 Make your way west afterwards to Olympic National Park, a UNESCO World Heritage Site and International Biosphere Reserve which contains three distinctive ecosystems. Then you’ll meet Harvest Moon, a local specialist who will share tribal legends and stories about the Quinault people with you. Enter the Hoh Rainforest this morning, one of the world’s few remaining (and largest) temperate rainforests where you can trek to the ‘Hall of Mosses’ – an eerie portion of the rainforest where trees and branches are dripping with moss. Stop off at the beautiful Lake Crescent before leaving the park and making your way by ferry across Puget Sound to the Emerald City. You’ll have the opportunity to visit the historic Pike Place Market, the nation’s oldest farmer’s markets, before enjoying the evening at your own pace. 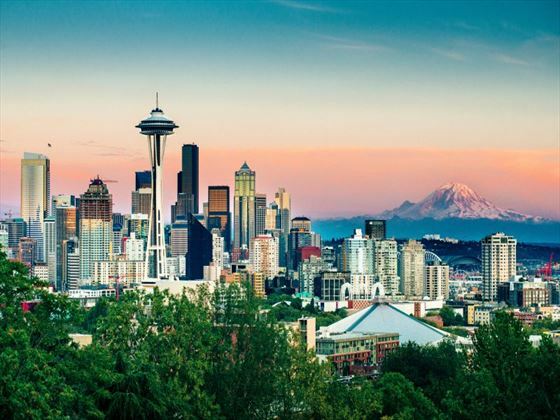 Today there is a choice of sightseeing activities to make the most with the chance to visit the EMP (Experience Music Project) Museum or take a trip up to the top of the iconic Space Needle for amazing views. 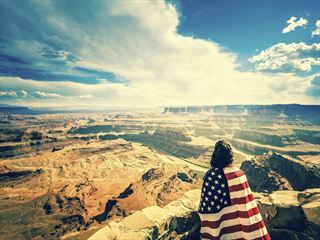 Enjoy some downtime for some last minute sightseeing or shopping before making your way back to the hotel for a farewell dinner with your group. Today marks the end of your trip – you’ll be transferred to the airport for your departing flight.